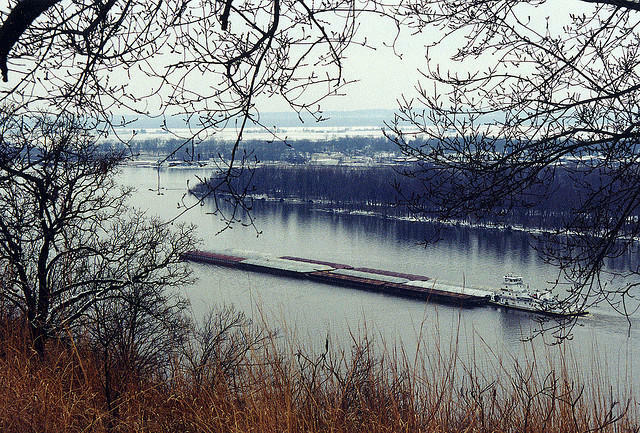 After more than 15 years of advocating for the land where the Mississippi and Missouri Rivers meet, the Confluence Partnership is ending. The Confluence Partnership began with five organizations working together to protect and promote land around the confluence. Over the years, the Confluence Partnership has worked with dozens of nonprofits and government agencies on projects ranging from river cleanups to land acquisition. The Partnership originally received multi-year funding from the McKnight Foundation. When funding from McKnight ended in early 2012, an advisory board started investigating what a future for the Confluence Partnership could look like. A recent email to supporters explained their findings, saying there is “no clear, shared purpose or vision” for the entity to continue. The fiscal agent of the Confluence Partnership is Trailnet, and their CEO, Ann Mack, said projects the Partnership started or contributed to will be taken on by individual agencies. “Agencies and stakeholders have decided that the individual entities have enough momentum, public engagement and programming to cover the intents forward, without a separate entity knows as the Confluence,” Mack said. Confluence attractions will still be available for visitors as usual, but Mack said, "there may be a decrease in the public messaging in terms of what's going on." The Confluence Partnership will formally end on November 1st.